Washington D.C. | No, YOU Tell It! NYTI & TLR team up at AWP17! 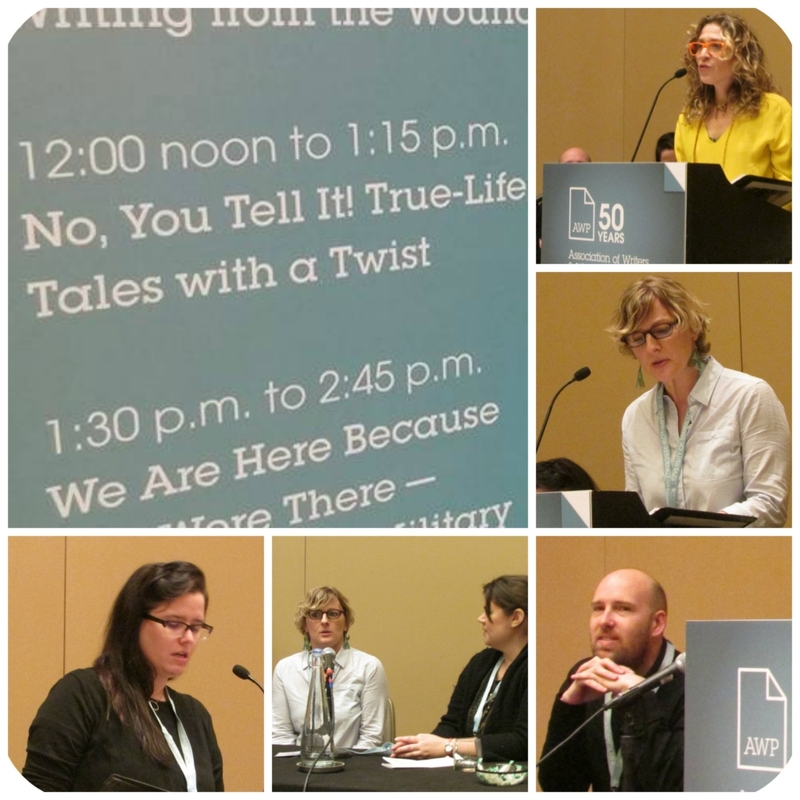 Our own Kelly Jean Fitzsimmons and Mike Dressel had a blast trading true-life tales with the editors of The Literary Review – Minna Zallman Proctor, Jessie Vail Aufiery, and Heather Lang – at the 2017 AWP Conference & Bookfair in Washington, D.C.
Here’s a few fun moments from our “Deleted Scenes” themed story swap on February 9th. Audio soon! SUBSCRIBE to our podcast on iTunes and GooglePlay. Curious about what we do? Click here to WATCH and learn more about No, YOU Tell It! Save the date for No, YOU Tell It! “Migration” back at our usual haunt Jimmy’s No. 43 on March 22nd at 7 pm! February 16, 2017 Post Comment	Live Shows Tags: AWP17, Deleted Scenes, jimmy's no 43, The Literary Review, Washington D.C.